Hugely successful morning and we were kept busy from before 8 until we closed. 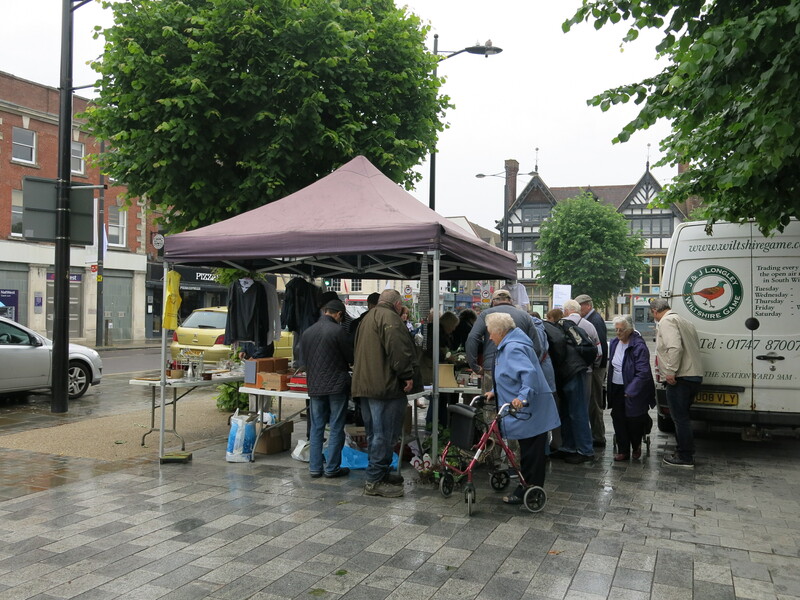 Many thanks to members who came and did a stint on the stall – Andrew; Fiona; Diana; Ria; Tony; Lesley and Peter. Helped by having a good range of stock including plants. Despite a refill of stuff mid morning – we did not have much left at the end of the day. Photos from this morning will be posted within 24 hours. On Saturday 23rd June we shall be having our annual stall in the market place and we would welcome items for sale. Popular are clothes, bric-a-brac, good quality books only, CDs and plants. No electrical items please. We shall be setting up at 7:45 so if you do have something, you can bring it along any time after that although earlier the better as people congregate early. If you can spare an hour to volunteer that would be appreciated. The Salisbury group, along with other groups around the world, has been campaigning on behalf of Moses Akatugba in Nigeria. He was accused of stealing three mobile phones and then subjected to torture and sentenced to death. 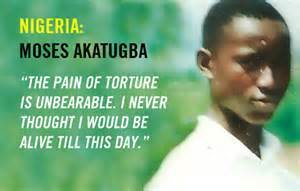 Regrettably, torture has become endemic in Nigeria and police stations even appoint ‘torture officers’ to carry it out. We have held many signings in Salisbury and a large number of cards were sent off to the Nigerian authorities. We are pleased to report that this campaigning effort has been a success and he has been granted a total pardon. Unusually, the Governor of Delta State mentioned the Amnesty campaign in his Facebook page. I am overwhelmed, I thank Amnesty International and their activists for the great support that made me a conqueror in this situation. Amnesty International and activists are my heroes. I want to assure them that this great effort they have shown to me will not be in vain by the special grace of God I will live up to their expectation. I promise to be a human rights activist, to fight for others. I am thanking the Governor for his kind gesture and for keeping to his words.